My wall-of-text take on the subject, objective, anecdotal, and fueled almost entirely by personal experience interviewing for jobs at big- and not-so-big-name firms in Tokyo and elsewhere, follows. But for readers who want the tl;dr, here it is: job interviews at Japanese companies, in Japan, for Japanese and foreign applicants alike, are growing more and more alike their Western counterparts. Times are tight for Japanese companies; many, many more applicants are showing up than there are spots to fill, and big corporations are realizing their need to better compete on an international level. This isn't news. 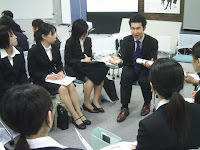 But these two points have led to the spread of tougher, more creative interviewing techniques in Japan, including behavioral event interviewing, a technique that's already standard in the US. The most desired type of employee in Japan is still one who will "fit in" with the company and cause minimal friction in the daily work environment. Japanese companies still, in general, want employees hailing from the best universities in Japan they can attract. The change in thinking is that with all these applicants available to weed through and these new global demands appearing, interviewers ought to be looking a step beyond university credentials: Who are these people we're hiring? How do they spend their time? And can they navigate real working world situations without someone holding their hand every step of the way? Perhaps the biggest part of the resume and interview that's been overhauled is the 志望動機. It used to be that job-applicants got hired at, say, pharmaceutical companies by having a first-rate university name printed on their resume and, when asked why they want to work at that company, saying, "Well, I've always been interested in helping people and want to contribute my life to the physical well-being of society." Heads were nodded, smiles and bows were exchanged, and the applicant got a shiny new 総合職 position just by following the proper conventions of the time. The company wasn't too worried about what the student had learned in school* or whether his listed extra-curriculars (of which a Japanese resume traditionally demands he list such trivialities as "high school baseball club") actually had any relevance to the job he'd be asked to do, because 1) the job was advertised as 総合職--what actual task the student would perform in the company wouldn't be decided* until well after the job offer had been made and accepted, and 2) after starting work in April, the student would be run through a 4-month gamut of corporate training camps to embed all necessary skills for her job anyway. But now, with shrinking revenues, larger pools of applicants, and realization that these traditionally-recruited, traditionally-trained employees have difficulty competing outside of the world constructed for them, companies are casting a more critical eye on applicants. They're trying to find the ones who are really motivated, not just at work but in life, and those who really have an interest in the industry they're applying to. It's hard to find them from among tens of thousands who have become experts at saying they're interested in a field because that's how it's always been done and those are the positions the students of their perceived caliber from their universities have always been expected to fill, but one way to do it is to overhaul the interviewing process. Questions? Comments? Screams of Rage? 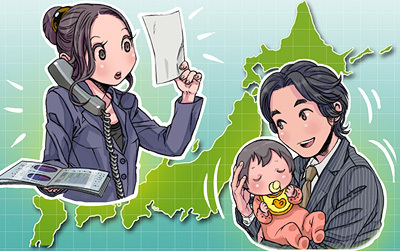 We welcome your own insights on and experiences from the interviewing process in Japan. Keep an eye out for the conclusion of these ramblings next week.